Before Christmas, my Mom had tried a version of this delicious brittle (made with Saltine crackers) at church coffee hour and was instantly hooked. After she raved about it a number of times, she tracked down the original recipe, I went out and bought some Glutino original gluten-free crackers to replace the Saltines, and we got the other ingredients together. 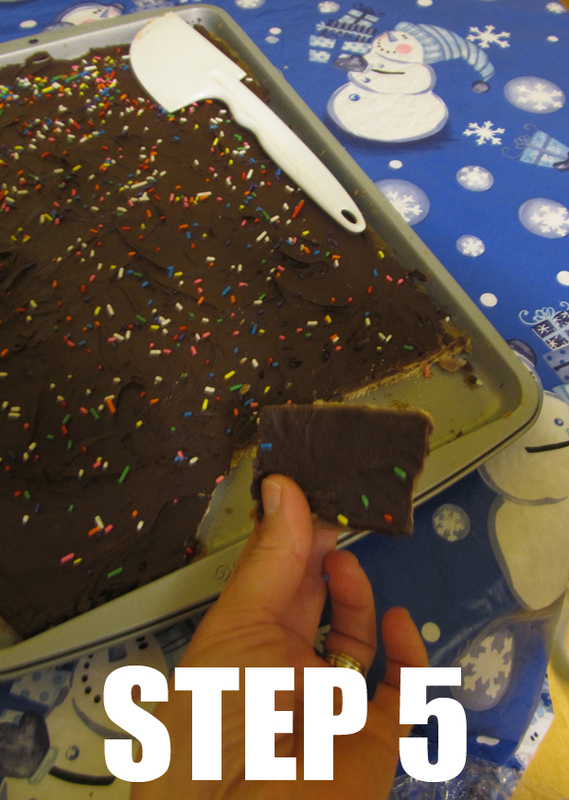 We whipped it up one night and this brittle was a huge hit over the holidays…especially with my daughter Morgan. toppings of your choice: toffee pieces, m&m’s, sprinkles, diced nuts, crushed peppermints, butterscotch chips, coconut — you name it! 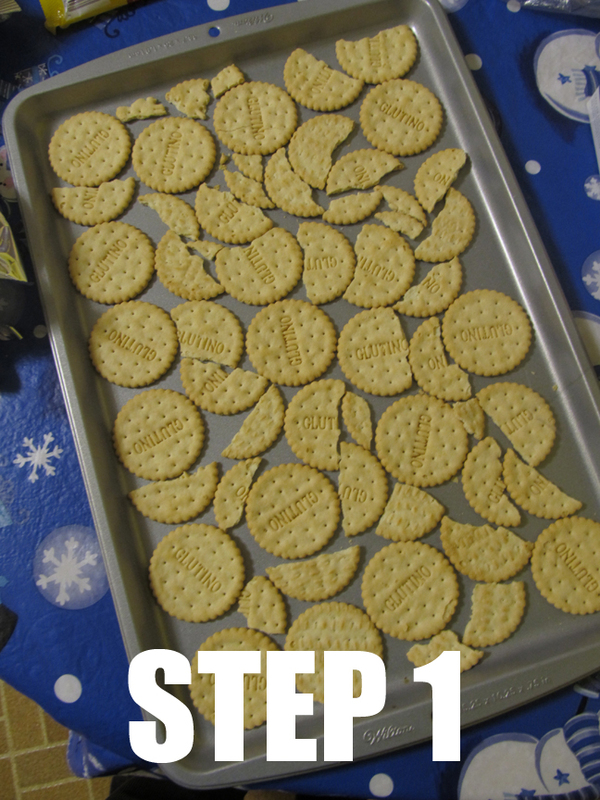 STEP 1: Empty the entire box of crackers onto an ungreased baking sheet, all in one layer. Then preheat your oven to 350 degrees. 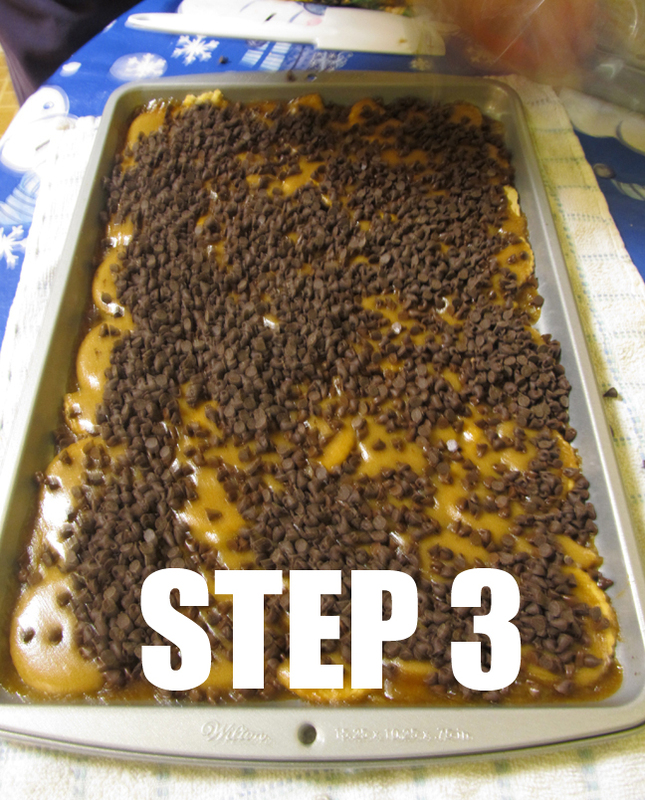 STEP 4: Then, after the chocolate chips are melted enough, smooth the chocolate layer over with a spatula and top with toppings. Put the tray in the freezer for at least an hour. 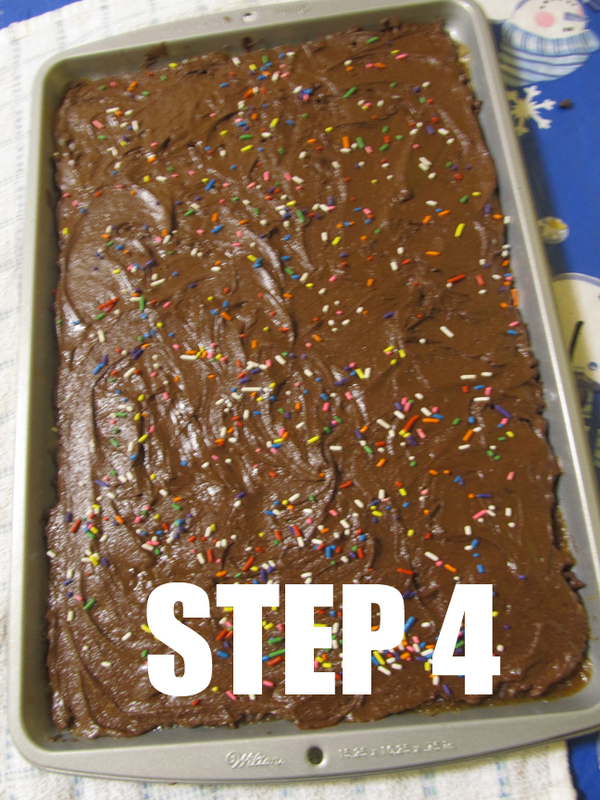 STEP 5: After at least an hour has passed, remove it and break it into irregular pieces with the help of a stiff spatula. Voila! A sweet treat for any occasion! 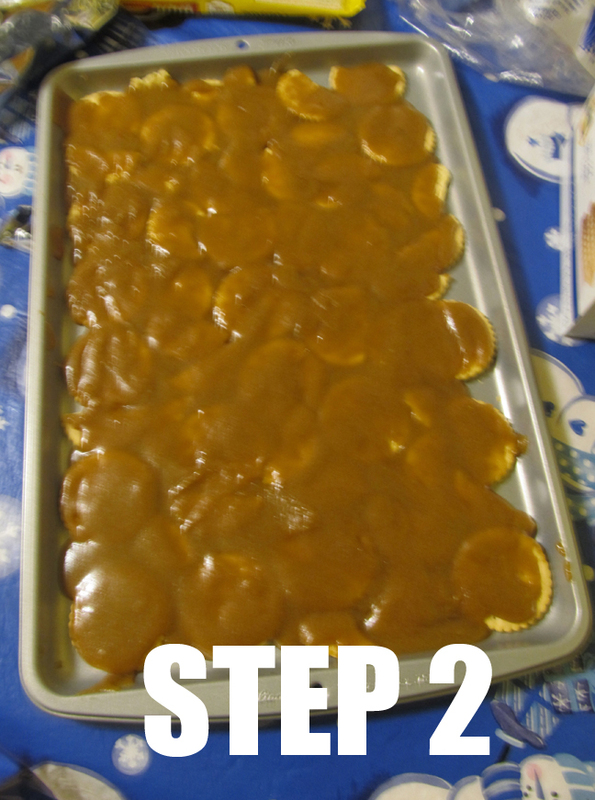 Let me know what you think of this recipe — we call it “toffee brittle” because the taste of it reminds us of toffee, even though we didn’t use any as a topping. After you try it (trust me — you will definitely be glad you did) let me know if you can think of a better name for it. Thanks, and enjoy! This entry was posted in fun for kids, g-free recipes, kids in the kitchen and tagged celiac kid, gluten-free kid, holiday, ideas, kids helping, recipes, treats by kachalmers2. Bookmark the permalink. You are genius!!!! Never would have thought of this and it looks delicious!! !